It is clear that Russia’s arrest and expulsion of two CIA agents who were trying to recruit members of the Russian intelligence service fighting against Salafist separatists in the Caucasus is part of a Russian mopping-up operation directed at the CIA’s decades-long covert support for terrorists operating in the Northern and Southern Caucasus. Russia’s Federal Security Bureau (FSB) recently arrested Ryan Christopher Fogle, a CIA «official cover» U.S. embassy Third Secretary, who was trying to recruit an FSB counter-terrorism officer for the CIA. A Russian phone intercept of Fogle’s conversation with the targeted counter-terrorism officer revealed the following offer by the CIA agent: “You can earn up to $1 million per year and I’ll give you $100,000 up front, but only if we meet right now. Yes or no?» Earlier this year, the FSB nabbed another CIA agent, yet unnamed, and quietly deported him. 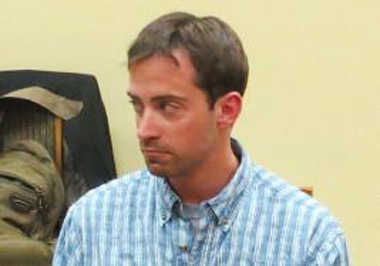 Ryan Christopher Fogle, a CIA officer arrested in Moscow last week. According to Turkish sources, the Jamestown Foundation’s operations in the Caucasus are tied in directly with those of the CIA. Accused Boston Marathion bomber Tamerlan Tsarnaev, according to documents from the Georgian Interior Ministry, attended training sessions in Tbilisi, Georgia last eyar sponsored by Jamestown. The foundation was set up as an anti-Soviet organization by CIA director William Casey in the early 1980s. Its board of directors have included the author Tom Clancy who gained fame by penning thrillers that pitted the United States against the Soviet Union in Cold War skirmishes. 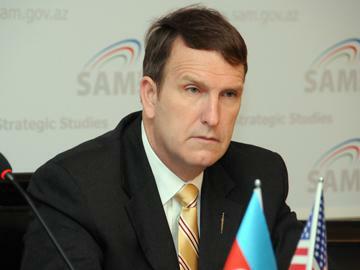 Jamestown president Glen E. Howard is fluent in Turkish and Azerbaijani. Tamerlan’s uncle, Ruslan Tsarni (aka Tsarnaev) had been a business associate of former CIA Turkish specialist Graham Fuller, who has participated in a number of Jamestown events. Jamestown has two major missions on behalf of the CIA: 1) to ensure the flow of energy, including oil and natural gas, from the Caspian through pipelines in Azerbaijan, Georgia, and Turkey and 2) prop up or topple governments in the region to ensure U.S. predominance. The latter is accomplished through organizing the political opposition, setting up conferences, and gaining influence in universities through non-governmental organizations established to veil the CIA’s financing of the operations. The NGOs ensure the CIA has a cadre of academics, politicians, former bureaucrats and diplomats, and intelligence agents to support its efforts through participation in «joint studies,» many of which are conducted by Jamestown. In return, the CIA provides its interlocutors with secret cash payments through the electronic transfer of funds to their bank accounts. Turkish sources also report that the key Jamestown interlocutor between the organization and the Caucasus Emirate of Salafist guerrillas, among whom Tamerlan Tsarnaev made contact, is Fatima Tlisova, a former Russian national of Circassian ethnicity and a journalist. Granted political asylum by the United States, Tlisova reportedly met, shortly before his death, the head of the Salafist Caucasus Emirate branch in Kabardino-Balkaria, Anzor Astemirov, aka «Emir Sayfullah,» who was killed in a shootout with police on March 24, 2010 in Nalchik, the Kabardino-Balkaria capital. Tlisova now travels on a U.S. passport, according to Turkish sources. Astemirov was on record stating that he did not support a global jihad against countries such as the United States and had asked the United States for assistance in the Islamic Emirate’s war against Russia. The Caucasus Emirate is known to receive substantial financial support from Saudi Arabia and Qatar. A Circassian Russian named Ali Berzeg also operates under Jamestown’s umbrella, according to Turkish sources and he is active in the «No Sochi» campaign to boycott the Sochi Winter Olympics next year. Berzeq participated in the November 19-21, 2010 Jamestown conference in Tbilisi on Circassian nationalism in the Adygea and Karachay-Cherkessia autonomous republics of Russia. He also spoke of support for Jamestown’s Circassian adventurism by the governments of Estonia and Lithuania, particularly that offered by Estonian Member of the European Parliament (MEP) Indrek Tarand. Berzeg also revealed in Tbilisi that the Circassians were supported by diaspora communities based in New York, Istanbul, Antalya, Munich, and Haifa. Jamestown, through its links with Fuller, and through, him, with Tsarni, had two Chechen organizations circling its orbit: the Congress of Chechen International Organizations, located at Fuller’s home in Maryland, and the United States-Chechen Republic Alliance Inc., located at the home of Alavi Tsarnaev, Ruslan Tsarni’s brother. Jamestown is also linked, according to Turkish sources, with the Cerkes Society of New Jersey, the New Jersey Circassian Association, and the Circassian Cultural Institute (CCI), all, like their Chechen counterparts, taking full advantage of the Internal Revenue Service’s 501 (c) 3 tax-exempt provisions. Jamestown was instrumental in founding the Circassian Cultural Center of the Republic of Georgia, authorized by a special decree of President Mikhail Saakashvili on October 12, 2011. Jamestown uses Ilia State University in Tbilisi to hold many of its Caucasus secessionist conferences. The group also supports the activities of Iyad Youghar, the head of the International Circassian Council. Youghar spoke at a Ilia-Jamestown seminar at the school’s campus on May 24, 2012, during the time Tamerlan Tsarnaev was said to be at Jamestown training in Tbilisi. One of the conference speakers was Walter Richmond, author of The Northwest Caucasus: Past, Present, Future a professor at Occidental College, a prime recruiting ground for the CIA and Barack Obama’s old alma mater. Jamestown’s Howard was also in attendance., as was, more interestingly, Professor Brian Glyn Williams, professor of Islamic History at the University of Massachusetts-Dartmouth. Williams said he received an email from Dzhokhar Tsarnaev in May 2011, asking about Chechnya and that he helped him with a high school paper on his home country. Turkish sources reports that Williams has consulted for the CIA and Scotland Yard and is an expert on Turkish Volunteers in Chechnya and «Al-Qaeda Turka.» The Chechen-Ichkeria Republic separatist flag was on clear display at the Ilia-Jamestown seminar in Tbilisi on May 24, 2012.